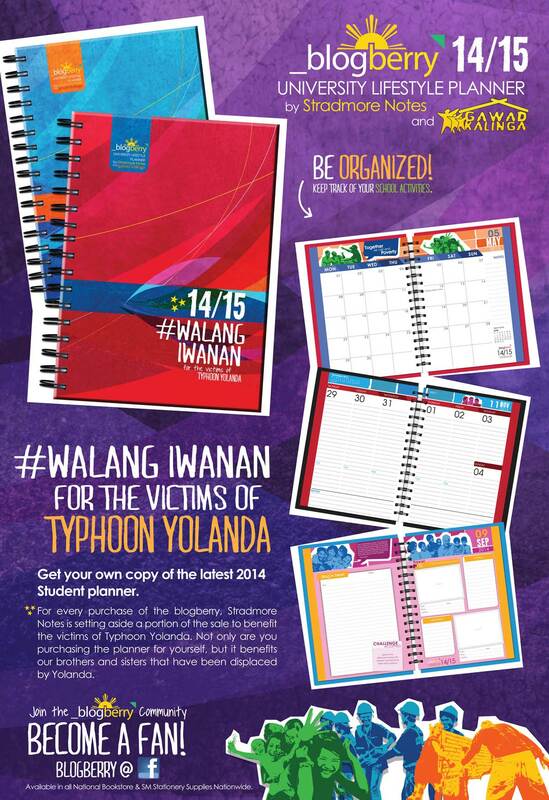 Get your own copy of the latest 2014 Student planner. For every purchase of the blogberry, Stradmore Notes is setting aside a portion of the sale to benefit the victims of Typhoon Yolanda. Not only are you purchasing the planner for yourself, but it benefits our brothers and sisters that have been displaced by Yolanda. Join the _blogberry community. Become a fan! Available in all National Bookstore & SM Stationery Supplies Nationwide.